Doretha Daniels witnessed many key moments in history, such as voting rights granted to White women, the Great Depression, both world wars, the Civil Rights Movement, the lunar landing and more. By the time she turned 50, she and other Black women in the U.S. were finally granted their right to vote in 1965. Although Daniels has experienced more life than most, there was still something she had been longing to achieve. In 2015, at the age of 99, Daniels earned her college degree. She is the oldest of a new minority of students who are earning their college degrees much later in life. For example, at 97, Allen Stewart received his master’s in clinical science. At 95, Nola Ochs received her bachelor’s in history. At 89, Mary Fasano attended Harvard University to receive a degree in liberal arts. At 67, Carol Mobley received her bachelor’s in sociology and continued on to pursue a master’s in social work. At 60, Helen White received her master’s in sports management. 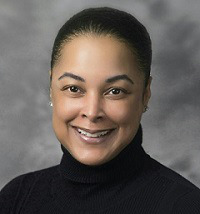 And at 52, Bridgetta Cottingham received her bachelor’s in human development gerontology. The list of college graduates over the age of 50 is growing, as is their proportion of the world population. In 2011, the National Center for Education Statistics documented that there were more than one-half million students over the age of 50 enrolled in degree-granting institutions. Some questions that naturally arise are: Are there any cognitive advantages for older students? What motivates older people to further their education? What issues do older students face when pursuing a college degree? What type of support is there for older students to return to college? The good news is that scientific evidence disproves ill-conceived notions that older students might be burdened with cognitive disadvantages. For instance, Roger Gould, a New York psychiatrist, says an aging brain has variations much like that of a school-aged child. A Seattle Longitudinal Study of Adult Cognitive Development tracked the cognitive abilities of thousands of adults over the age of 50 and found that middle-aged adults performed better academically then they did as young adults. Furthermore, psychologist Timothy Salthouse at the University of Virginia recently completed a study that examined the consequence of age-related cognitive declines and found that there is no evidence that cognitive ability declines with age. What motivates individuals who continue their education after 50 varies widely. Later in life, there can be differences in an individual’s economic status, social status, personal and family obligations, identity or mental clarity that drive them to want what a higher degree can offer. Forbes magazine highlighted that some individuals desire to achieve a sense of accomplishment and feeling of pride. There are also better job prospects for those who choose to re-invent themselves by obtaining an advanced degree. Still others want to continue to grow intellectually. Other motivations for returning to college later in life might be that middle-age students have a greater defined academic purpose and focus and are thus better situated to capitalize on the myriad of experiences college offers. For retirees, getting involved in the bustling and stimulating environment of college can keep them mentally active on a much deeper level than traveling, golf or television. Attending college later in life is not without its challenges. For example, issues that students age 50 and over face are more likely to be related to competing family demands such as managing the household or financial obligations. Other issues that students above 50 may experience include generational differences that exist when interacting with traditionally aged undergraduate and graduate students and the unfortunate possibility of ageism (implicit age discrimination). Additionally, some students over 50 may experience a stressful adjustment period related to juggling a full-time schedule of course work, contributing to group research projects, attending conferences and maintaining a healthy balance between one’s own academic load and supporting fellow peers. Fortunately, for older students, these types of newfound responsibilities are often welcomed. The bottom line is that by 2030, more than 20 percent of the U.S. population will be age 65 or older. This fact alone will create a need for higher education institutions to examine how they can best serve a growing middle-age student population. One suggestion might be to create networking events for middle-age students and newly degreed middle-age faculty. This will give middle-age students an opportunity to interact with like-minded students and faculty members. Faculty members might also consider adjusting their pedagogical techniques to reflect core principles of andragogy. This is especially important since adult education theories of learning imply that older students favor self-directed learning, share an immense reservoir of experiences and knowledge, demonstrate enthusiasm to learn, place emphasis on task- or problem-centered learning and possess a high degree of intrinsic motivation. Integrating adult education instruction into lesson plans could be a win-win situation for adult students as well as traditional students. Middle-age college students bring a wealth of life experiences, knowledge and professionalism to classrooms and research groups. Not only are older students’ contributions in classrooms being recognized, a growing number of higher education institutions have recognized that the middle-age college student numbers will continue to grow, and these schools and are now offering programs to students age 55 and over. For example, California’s 23 state universities offer tuition-free classes to students 60 years and older, Texas public colleges and universities have tuition reduction programs for students 55 years and older and Pennsylvania State University’s Go-60 program offers tuition-free enrollment to students 60 years and older. In addition, organizations such as Barclays, Goldman Sachs, Encore.org and others have programs in place to attract the ever-growing numbers of college-educated, middle-age people entering the workforce. Finally, there are several organizations that offer scholarships to women over the age of 50. With the growing trend of middle-age students pursuing postsecondary education degrees, colleges and universities should continue to evolve in ways that meet these students’ needs, thus helping to ensure that they obtain successful careers upon graduation. Moreover, for institutions that may not know where to start in developing the types of adult education and training programs needed for middle-age students, there are a myriad of resources such as The Council of Adult and Experiential Learning (CAEL) and the American Association for Adult and Continuing Education (AAACE) that can help. Quintana “Quincy” Clark is a Ph.D. student at Purdue University. You can follow her on Twitter @Quincy01. 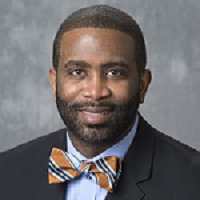 Dr. Levon T. Esters is an associate professor at Purdue University whose research focuses on the STEM career development of students of color and mentoring of women and graduate students of color in STEM. You can follow him on Twitter @Levon_Esters.